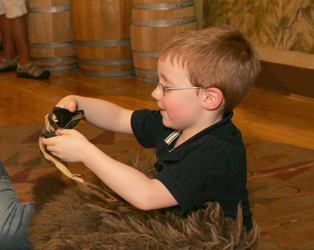 We have a wide range of tours, programs and activities available for school groups. For more information, or to book your class's visit, contact Nona Miller, Curator of Education, at nona.miller@salina.org. The activities and lessons offered to schools FREE of charge are in alignment with common core standards and Kansas standards, as well as responsive to and supportive of local curriculum needs. The Museum uses history to instruct, inspire and invigorate students in disciplines ranging from the arts to science.